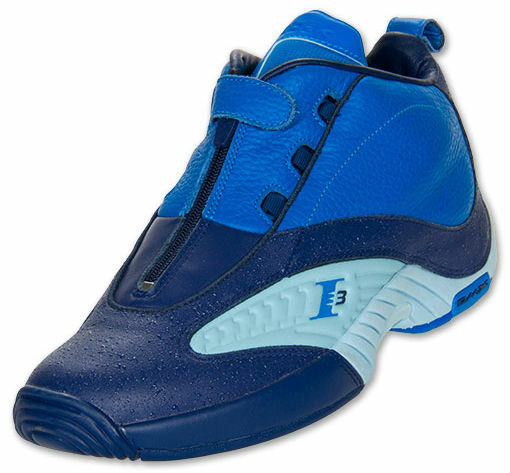 Alongside the "Georgetown" colorway, Finishline has released this new make-up of the Reebok Answer IV, decked out in varying blue tones. 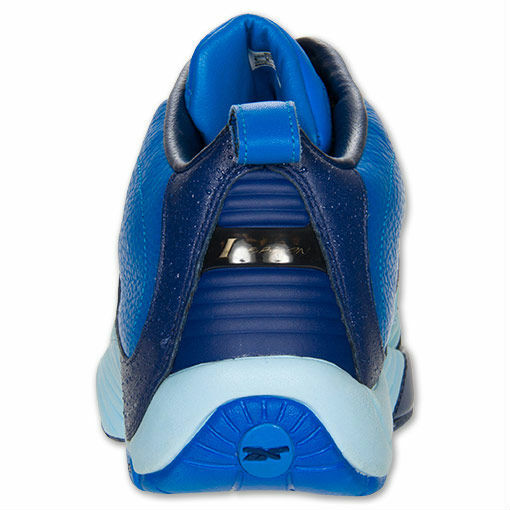 A combination of royal and navy blue handle the shoe's upper, while a lighter hue fills the "wings" and rear portion of the midsole. 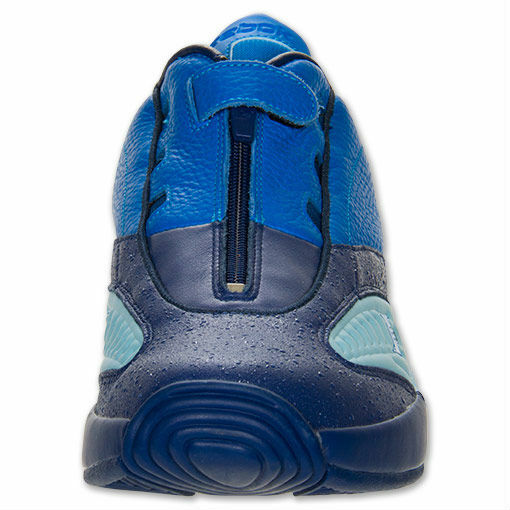 Originally seen on the "Seattle" Kamikaze II, synthetic "droplets" appear throughout the upper to give the shoe a wet look. 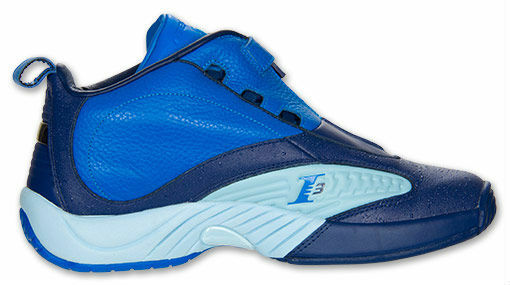 This new Answer IV is available for $125 today exclusively at Finishline.